Here’s a film that sort of came and went at the movies. I think I caught it on video first, after a friend recommended it. This was a few years before Silence of the Lambs came out, and because of this, I read both Red Dragon, the book on which this is based, and Silence of the Lambs, the far more famous follow up. This is, of course, the introduction of Hannibal Lecktor (as it’s spelled here for no good reason). 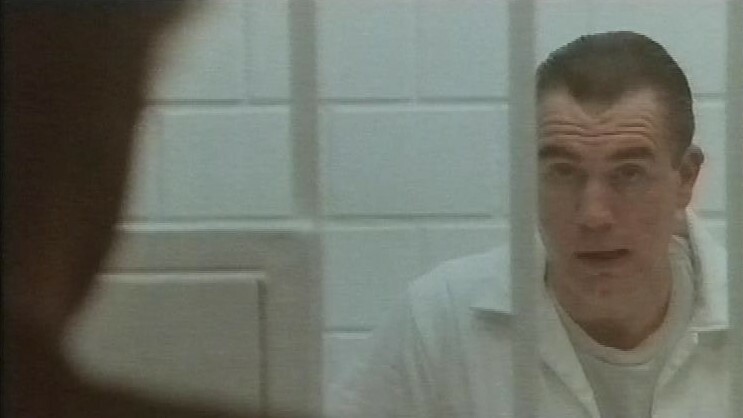 He’s played with restraint by Brian Cox here, a long way from the much more theatrical Anthony Hopkins portrayal. Not that this film is an artistic triumph. For a film this classy and well designed, this is the ugliest main title i could imagine. William Peterson plays Will Graham, a retired FBI investigator, called back by his boss Jack Crawford to track down a particularly vicious serial killer. Graham’s ‘thing’ is that he can ‘get into the mind of the killer’ – something virtually everybody does now, but it seemed new in 1986. He finds a lead when he surmises that the killer took off his rubber gloves to touch the bodies, and the get a print. But Graham needs to connect more so he goes to visit Hannibal Lecktor, a psychiatrist and serial killer that Graham caught. 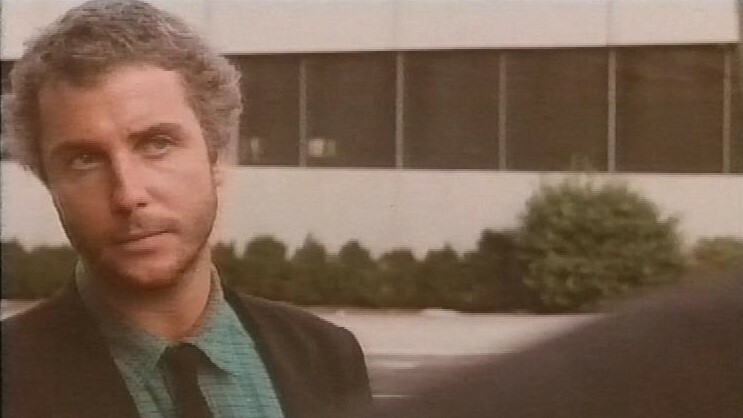 Also interested in the case is Freddie Lounds, a reporter for the National Tattler (a National Enquirer analogue). 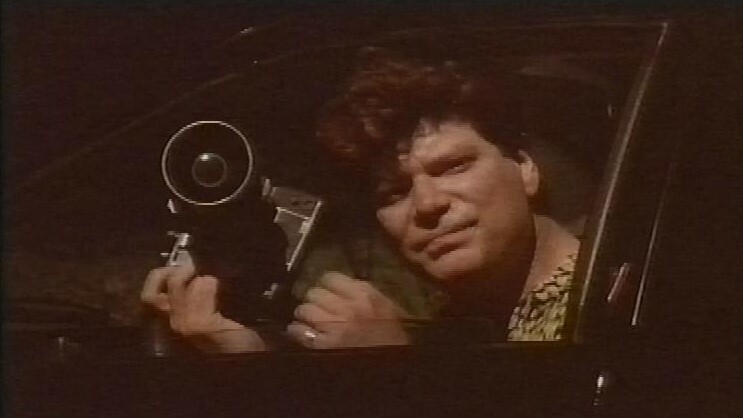 He’s played by Stephen Lang, and is unrecognisable from the man who played the evil colonel in Avatar. There’s a lovely little scene with Lecktor using some phone hacking skills and social engineering to get Graham’s home address. Lecktor’s doctor, Doctor Chilton (not as much of a sleazebag as in Silence of the Lambs) discovers a note from the killer to Lecktor, so the FBI bring all of their document analysis skill on the note. I love this part of the movie. It could all be made up gobbledy gook for all I know, but it plays convincingly. Nothing strikes me as stupid or unlikely, and the details, like the use of the book cypher to communicate between the two killers, is interesting. They can’t work out which book is used to encode the message, so they plant a story in the Tattler through Lounds to try to flush out the killer. It’s all very tense as Graham is walking and a jogger approaches, only to be an innocent bystander. Then Freddie Lounds is taken by the killer, and we get our first glimpse of him. The ‘Tooth Fairy’ is possibly the most interesting part of the movie. As played by Tom Noonan, he’s a softly spoken but deeply scary person, obsessed with ‘becoming’. 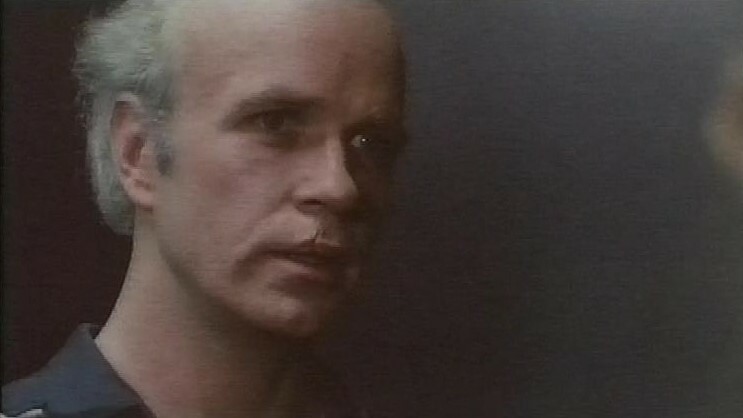 He forces Lounds to read a statement that he was lying in his report, then (implied but not shown or described by the movie – it’s in the book though – he bites off Lounds’ lips, then ties him to a wheelchair, sets him on fire and sends him freewheeling into an underground car park. I like the score in this movie. It’s very synthy, very 80s. Sounds a bit like Tangerine Dream. We meet the Tooth Fairy in his native habitat. His name is Francis Dolarhyde, and he works at a photo processing lab. Tom Noonan plays his beautifully. He’s very tall and obviously uncomfortable with the way he looks. When he meets Reba, a blind woman who works in the lab, and she turns on the darkroom light for him, he flinches at her expected reaction to him, then relaxes a bit when he realises she’s blind. There’s a strange, lyrical scene next, when he takes Reba to the local zoo, where they’re putting a tiger under sedation for tooth surgery, and they let Reba touch it. I don’t think this is a perfect film, though. The narrative structure seems very odd, as if the story is unbalanced. Perhaps we don’t see enough of Dolarhyde. And the ending is fairly prosaic. The book’s ending, ironically, is a much more ‘movie’ type ending, with a massive jump scare right at the end, but this version forgoes that for a rather dull shootout. After this, there’s a caption trailer for Moviedrome in which the announcer calls Alex Cox ‘Alex Fox’. There’s a trailer for Kisses at Fifty. Then, an episode of David Lynch and Mark Frost’s On The Air. 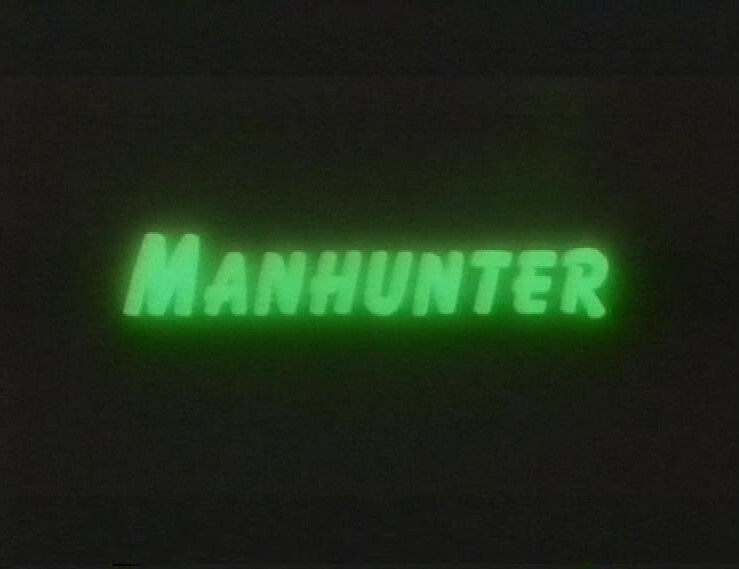 It looks like it’s supposed to be a comedy, possibly a retro Larry Sanders show. But it just comes off as odd. 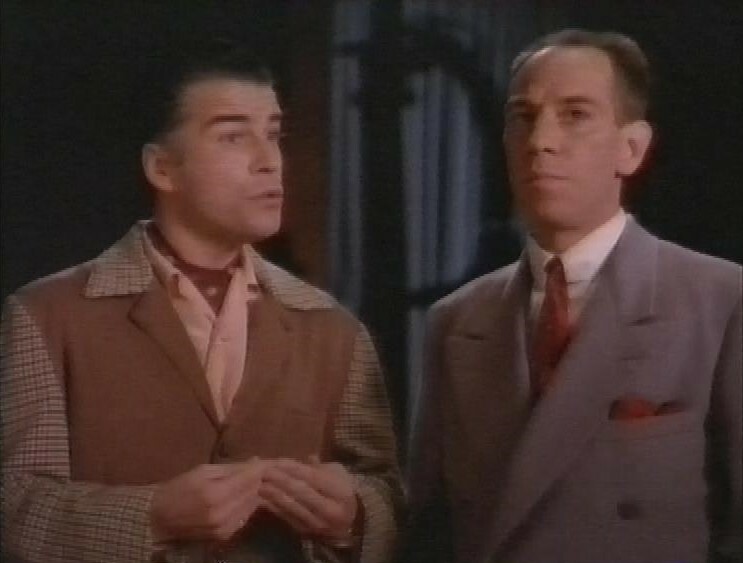 Here’s Ian Buchanan and the much missed Miguel Ferrer. Good grief this is terrible. It’s like a comedy put on by somebody who had a comedy described to him over a bad telephone line, didn’t take any notes, and was told to put one on. It uses the always suspect ‘bad onscreen production’ trope to try to forgive its own gross deficiencies. Lots of unfunny fart gags, too. How can you have an unfunny fart gag? This one has loads. There’s a trailer for Summer Dance. 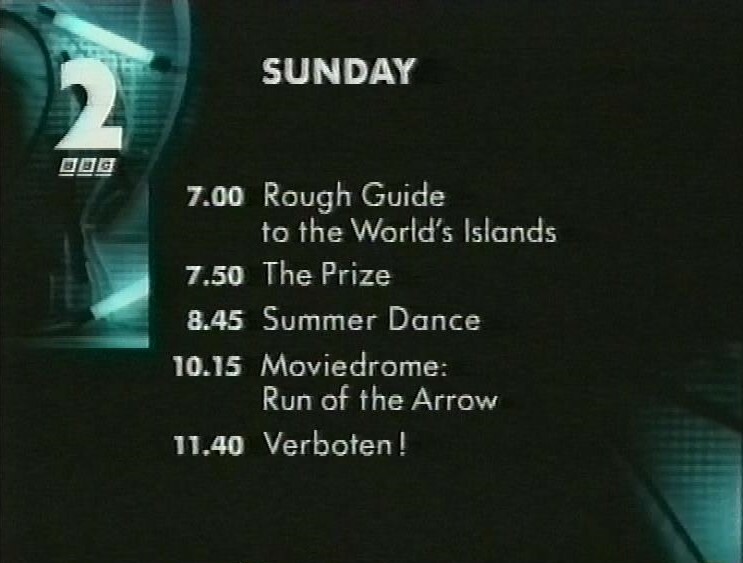 And a look ahead to Sunday Night’s programmes. Then, Michela Saunders (sp?) wishes us a good night, and BBC 2 goes off the air. This recording from the tape also includes about half an hour of white noise after the station shuts down. Every minute of this is better than On The Air. From the days when Michael Mann stuck with one score composer per movie. Michel Rubini (said tunesmith) and Stephen Lang also worked on the Mann-produced “Band Of The Hand,” which was awful. I loved On the Air at the time, thought it was laugh out loud funny (“Who’s that? !”) but haven’t seen it since, so don’t know if it stands up. Maybe not. I do remember the last episode ran late and I missed it, which annoyed me, and I still haven’t seen it to this day. Though apparently BBC 2 showed them out of order, so I technically saw the last one earlier on.